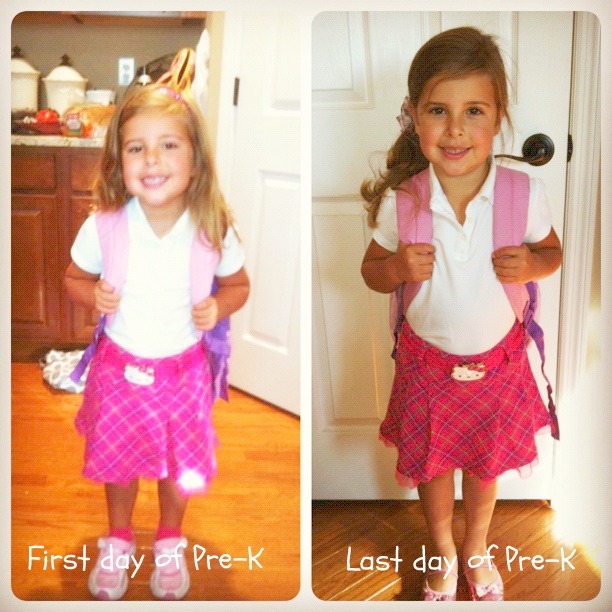 Last day of Pre-K and much more. 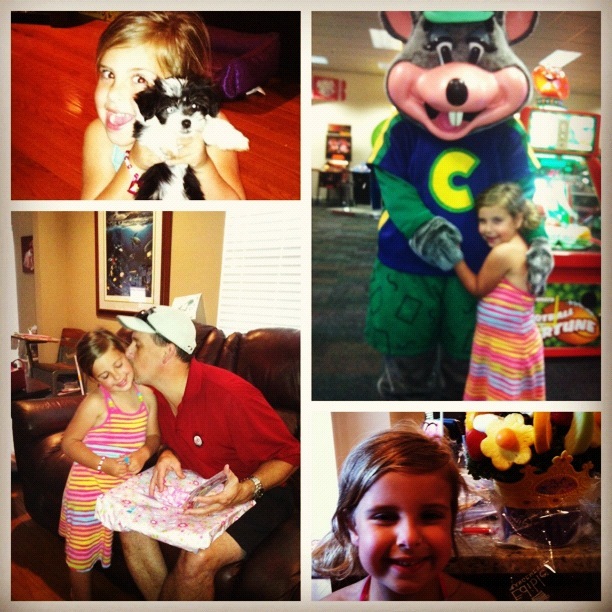 Last day of Pre-K and a trip to Chuck E. Cheese …. 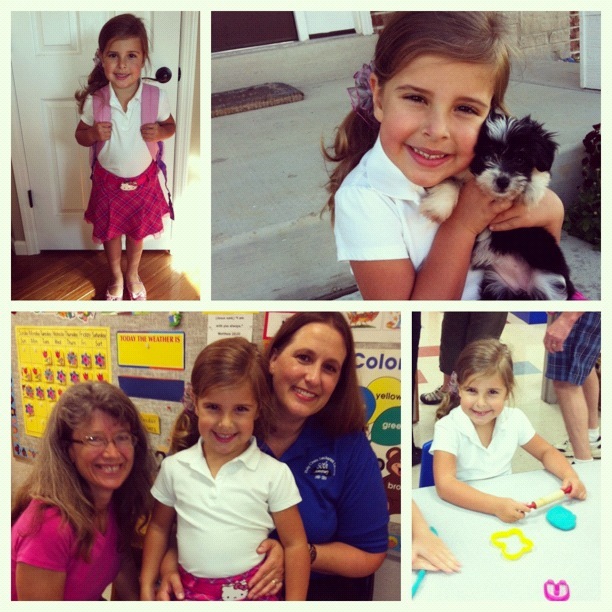 I thought I would share a few pictures from our week, starting with Monday – our last day of Pre-K. Yes, I dressed Grace in the same outfit on her first and last day of school. I have a friend who has always done this, taking pictures to compare. I thought it was a great idea. Granted, the outfit she wore on the first day of school was a little big for her at the time. So, it fit great on the last day. This week was also Grace’s 5th birthday. We had already celebrated with a party for she and her friends on Sunday. For her actual birthday it was a private affair with just Grace, Mom, and Dad. She requested Chuck E. Cheese…. OY! That place is crazy. We never go to C.E.C. We reserve that for an outing with Grandparents. But, since she requested… we obliged…since it was her birthday. It has been a fun week…and we haven’t even celebrated Memorial Day Weekend yet!! 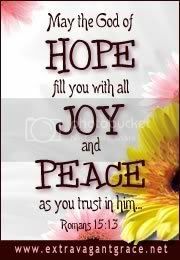 Don’t forget to visit Blessed With Grace Facebook page for even more recipes and fun. Sign up for a free subscription to Blessed With Grace by email and you won’t miss anything! Chuck E. Cheese in our area is a nightmare. Oh the things we do for our children. 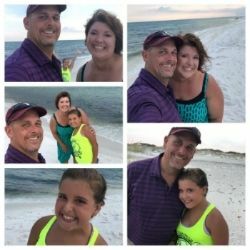 I’m sure she had a blast. Have a happy and safe Memorial Day weekend. Oh my gracious!! She’s grown sooo much!! 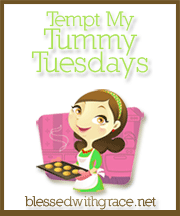 Previous post: Tempt My Tummy Tuesday…. Garlic Chicken, Orzo Pasta, and a Watermelon Margarita!